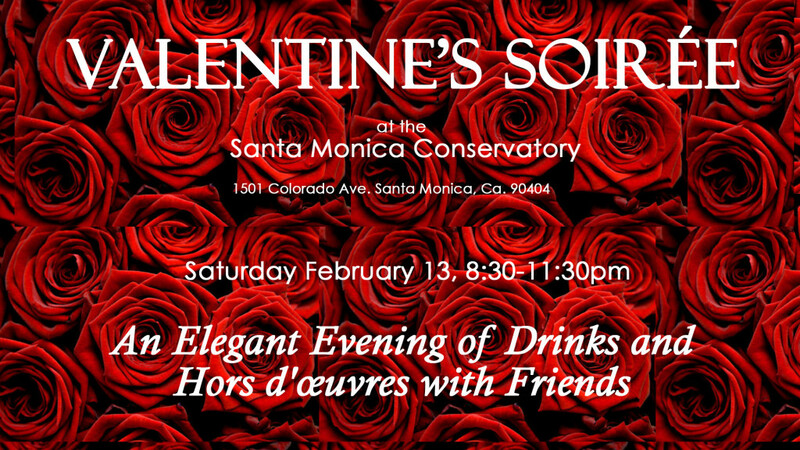 Join us on Saturday, February 13 at 8:30pm for a romantic Valentine’s weekend event. We are raising funds to invite low-income children to join the upcoming Spring and Summer music camps presented by the Westside Children’s Educational Programs and organized by our conservatory’s faculty and staff. Enjoy drinks and Hors d’oeuvres with friends. For entertainment, classcal music performances and a Jazz ensemble.